Zaxby’s is a fast food chain that specializes in chicken wings, chicken fingers, salads, sandwiches, and appetizers. The franchise offers a casual fast food dining experience. 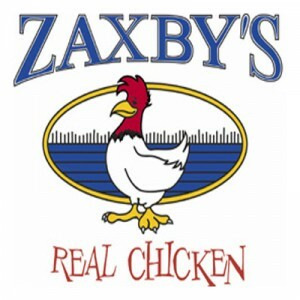 Zaxby’s was founded in March 1990 by childhood friends Zach McLeroy and Tony Townley. It was first established in Statesboro, Georgia and was based primarily from a smaller chicken joint in Athens, Georgia. The franchise operates mostly in the south with over 800 stores in 18 states. In 2015, the company was ranked the 9th fastest-growing chain in the Nation’s Restaurant News Top 100. The company offers its employees benefits such as paid sick leaves, paid vacations, store discounts, 401K retirement savings plan, a health insurance, and other additional benefits offered by the franchise owners. Zaxby’s projects a very fun and laid-back atmosphere but manages to maintain a professional work environment. As a franchise, it offers an easy and streamlined process that makes the process easier for the franchisees. For entry-level jobs and low managerial positions, the minimum age requirement is at least 16 years old. However, for part-time jobs, 15-year-old applicants are qualified to apply. The fast food chain offers a range of employment opportunities. There are open positions in the corporate management and store management levels. There are also job opportunities for entry-level positions such as counter and kitchen staff. Listed below are the careers that you can apply for. Cashier: The Cashier is primarily responsible for handling all payment transactions and ensuring customer satisfaction. Primary duties include greeting the customers, operating the cash register and handling the receipts, receiving and inputting the orders in the POS system, and presenting the food in a proper way. Cook: A Cook’s primary responsibility is to prepare and cook the orders from the menu. The Cook is also expected to work at a fast pace without compromising the quality and integrity of the product. Other tasks include complying with sanitation procedures, cleaning the work stations, and handling truck deliveries. Kitchen Staff: A member of this team is tasked with assisting the Cook and handling all orders. They are expected to work efficiently in a fast-paced environment. Other duties include preparing and handling the food, complying with health and sanitation procedures, and complying with regulatory procedures, on all levels, of food production. Crew Leader: A Crew Leader is responsible for handling the menu items, portion controlling, proper waste disposal, managing the inventory, reporting malfunctions to the management, and assisting in FOH operations whenever necessary. Other tasks include cleaning and maintaining equipment, kitchen stations, and storage area. Shift Manager: A Shift Manager is responsible for assembling, preparing and packaging the menu items, ensuring proper storage of food items, unpacking and storing inventory supplies, and reporting to the management. Other tasks may include providing assistance in the front house operations. Back of House Shift Leader: A BOH Shift Leader is expected to perform basic kitchen station tasks, sanitary procedures, and food preparation procedures. He is also responsible for managing the flow of orders, training and monitoring BOH employees, performing routine maintenance tasks, and providing assistance whenever necessary to ensure efficiency in the kitchen. Front of House Shift Leader: A FOH Shift Leader is responsible for communicating with the customers, solving minor issues, and providing excellent customer service. Other tasks include mentoring and training FOH employees, monitoring the dining area, supervising the safe usage and storage of all toxic chemicals, handling the Micros POS system, and using drive-thru equipment. Dining Room Associate: A Dining Room Associate is responsible for greeting and seating the customers, taking orders correctly, serving orders to the customers in an appropriate manner, and addressing to further requests such as refills and additional orders. Other responsibility is being familiar with the limited time offers and store specials. Hospitality Team Member: A member of this team is primarily tasked with greeting customers, answering questions regarding the menu, and cleaning the tables, parking area, and restrooms. Other duties include helping with the dishwashing, assisting with food preparations, stocking condiments, and receiving orders over the phone. Assistant Manager: An Assistant Manager is responsible for supporting the upper management, providing employees with appropriate training, overseeing all FOH and BOH functions and ensuring its compliance to ZFL standards, maintaining all operational standard procedures, ordering and receiving deliveries, and managing the inventory. To apply at Zaxby’s, prepare your complete application requirements and visit any of their stores to request for and fill in an application form. You can also apply online through their company website. Both online and in-store applications are allowed. For online applications, go to their company website and proceed to the “Join the Team” page. Choose the location where you wish to work and browse for available positions. For personal applications, you will be meeting personally with the manager. Be ready with your requirements. Make sure to make a good first impression with the interviewing manager. For your resume, provide all the necessary information that is relevant to the position that you are applying for. Include also any important and related work experience. For the interview, maintain a professional attitude. Remember that they are looking for employees who can work well in a fast-paced environment and also embody the friendly image of the company. Zaxby’s promotes a culture of innovation and creativity. Their working environment is fun and laid-back but they consistently maintain the quality of their products and services. The franchise has launched commercials from 2007 to 2013, all of which featured many known artists. The franchise has also sponsored college football and basketball teams in 2015. Zaxby’s is known for their casual approach to dining and their consistent menu. Their chicken dishes are paired with their popular dipping sauces, all of which have creative and fun names. The company is a supporter of the Make-A-Wish Foundation, sponsoring more than 200 wishes in 2011 and donating $50,000 in 2015. They also sponsored the Heart of Dallas Bowl for the second consecutive year in 2017. 1 How old do you have to be to work at Zaxby’s?